Chicago Botanic Garden is an expansive botanical garden that offers guests a family-friendly, fun and educational experience. Your whole family can learn more about plants, science and even gardening! This will help to ensure that your child grows up with a healthy respect for nature, and for the world around them. Along with a year-round garden to explore is different events for kids and adults alike. This includes the Wonderland Express, tram tours, story time and even cooking classes! 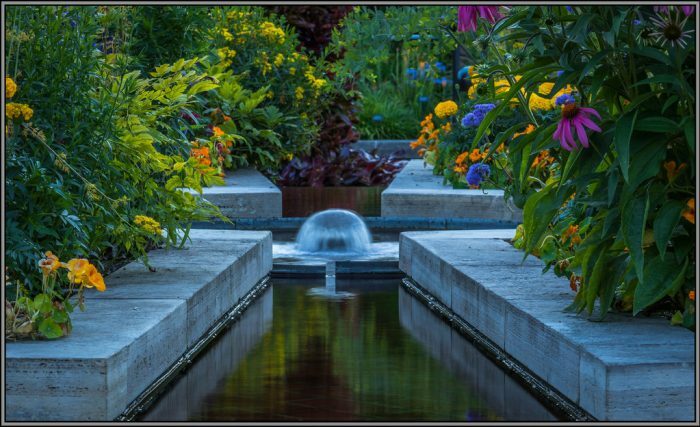 With the lovely atmosphere and fun activities, Chicago Botanic Garden is a great place for a date night with your significant other, or a new love interest. For a unique and gorgeous wedding, make sure to schedule a private event at Chicago Botanic Garden! Chicago Botanic Garden is a sight that you’ll definitely want to see!